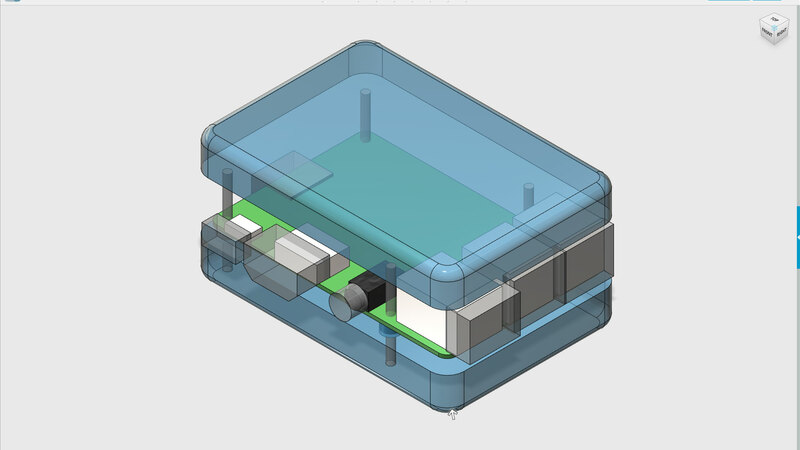 Layer by Layer: Designing Raspberry Pi B+ Case « Adafruit Industries – Makers, hackers, artists, designers and engineers! 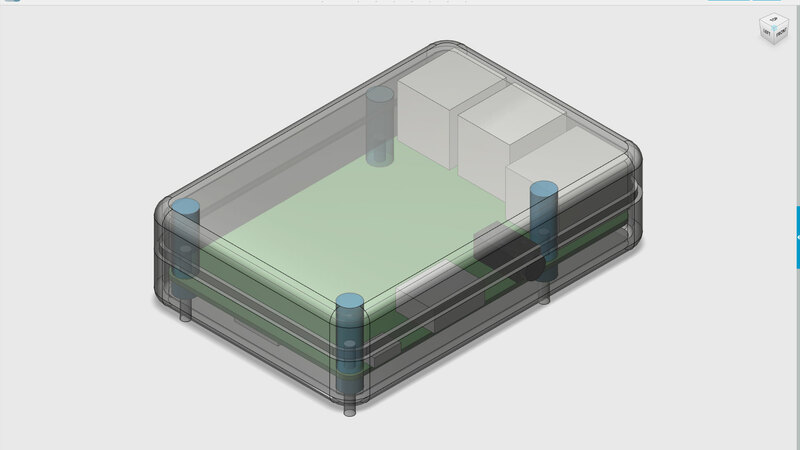 In this weeks Layer by Layer, we’re going to take a look at designing an enclosure for the Raspberry Pi B+. 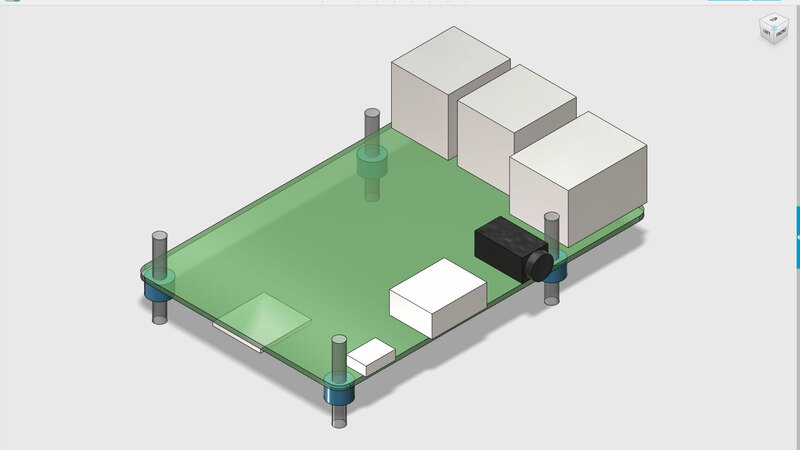 To start off, we can use the Raspberry Pi B+ mechanical drawing as a reference guide for modeling the PCB and components. By measuring the dimensions of each component with a digital caliper, we can model a digital replica of the Raspberry Pi B+. 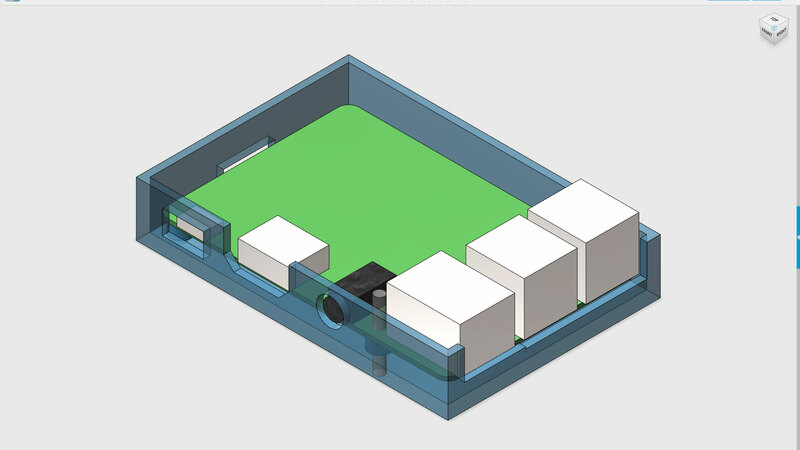 In 123D Design we can quickly model the PCB and components using primitive shapes. 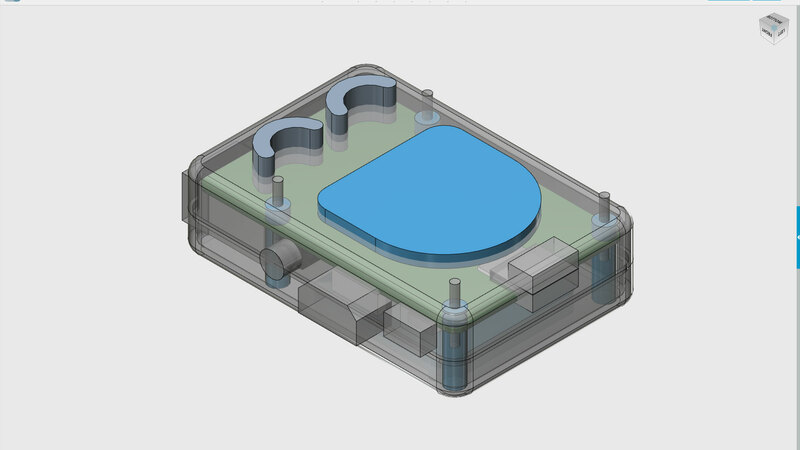 An optimized part is made for prototyping the tolerances of the port openings and mounting holes. In this prototyping stage, the goal is to get the fittings perfect and lined up nicely. Here we’re using 3mm tall stand-offs to elevate the PCB. 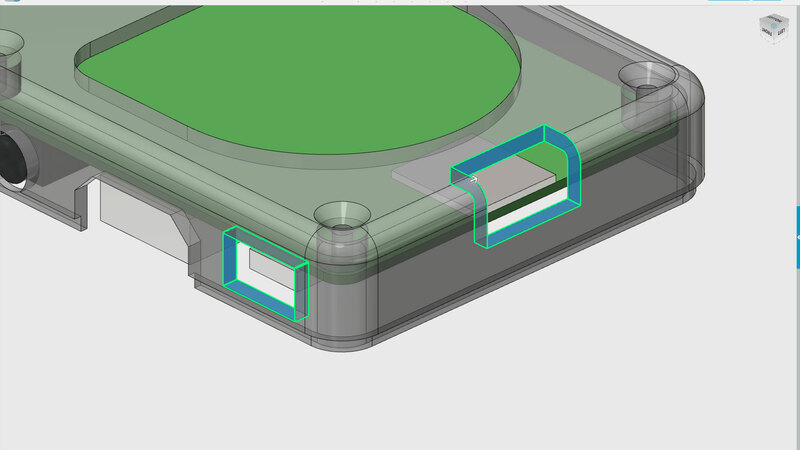 Once the prototype has been printed and tested, we can model a case with rounded corners and fillets. We can split this cube in half using a polyline sketch to make a two piece enclosure. Each piece is then hollowed out, using the shell feature where we can apply a thickness of 2mm. 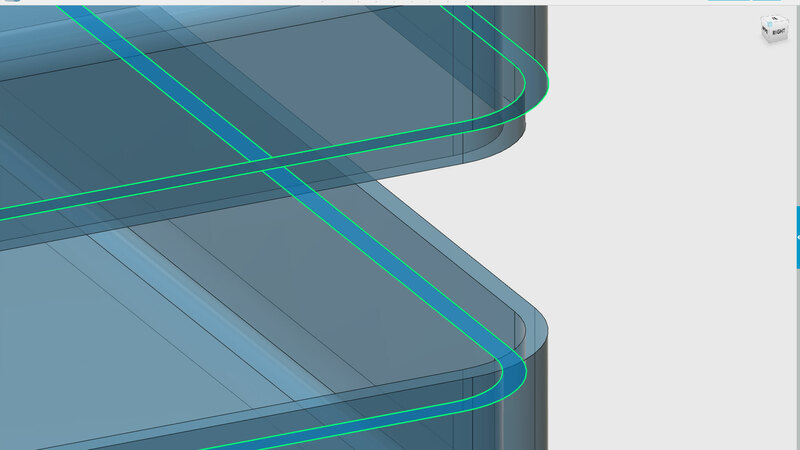 By creating an interconnecting lip on the top surface of each part, we can make the two parts snap fit together. The bottom part has the lip inset and subtracted from the inside while the top part has the outside of the case subtracted. Both of these lips are 2mm tall (1mm thick). A design decision was made to clear out the geometry between the ethernet and USB ports. These pieces repeatedly broke off during the prototype iteration process. Since the ports are so close together, this particular project doesn’t really need to cover these parts up. 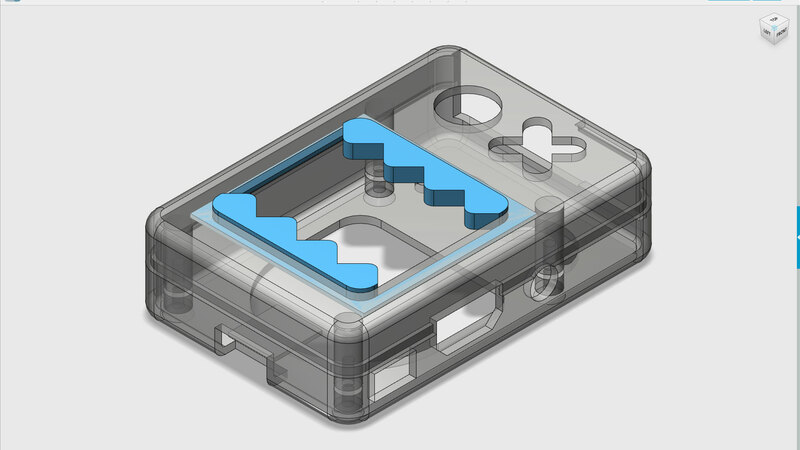 To keep the two parts secured shut, you can use tall stand-offs on the top part that will allow machine screws to thread through the two parts and the B+ PCB. The bottom part has four openings for the 2.5m mounting holes with chamfers applied so that the machine screws are flush with the surface of the enclosure. Openings like the micro USB port that provides power to the B+ has a larger opening than the other components. The Micro SD card opening also has a larger opening for compensating clearance area for the actual micro SD card. 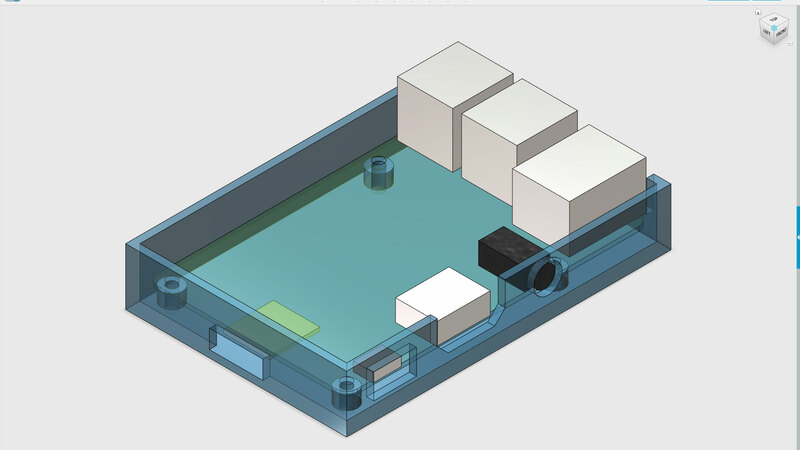 The final design has a face subtracted from the surface of the enclosure, resembling Domo-kun eating the Raspberry Pi. 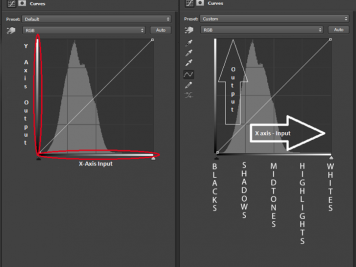 These are just some of the steps of the design processes. If your interested in modifying or customizing the case, the solid solids ands STL files are available for download. 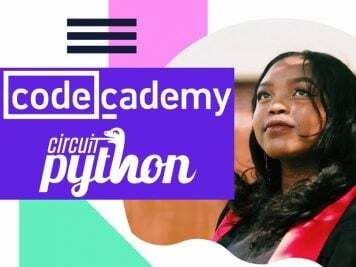 Be sure to check out the project video on Youtube for a great overview on the process. 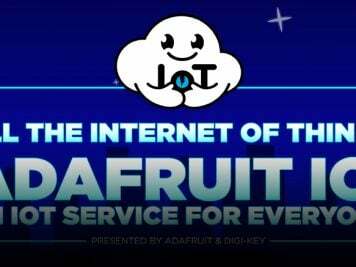 There’s also a detailed guide on the adafruit learning system for documentation and assembly photos.